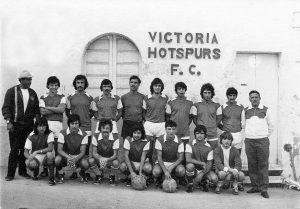 Victoria Hotspurs win again the Reserves League after gaining 1 point (o-o score) from the last game of the league against Xewkija Tigers. The match was played on the 26th of May 1974. During this season, GFA had surprisingly stopped the Galea and Esso Cup with the excuse that there was no sponsorship help for them. With this decision, GFA was about to ruin an essential part of the Gozitan football history.